Dr. Raymond Huey is a Professor of Biology and former chair of the Department of Biology at the University of Washington. He received his Masters degree in Zoology from the University of Texas, Austin and his PhD in Biology from Harvard University. Ray was a Miller Postdoctoral Research Fellow at the University of California, Berkeley before joining the faculty at the University of Washington where he has worked for over 35 years. Ray has received numerous awards and honors during his career, including a J. S. Guggenheim Fellowship, election to the American Academy of Arts and Sciences, election as President of theAmerican Society of Naturalists, and receipt of the President’s Award from the American Society of Naturalists. He was also recently selected to give the Cramer Lecture at Dartmouth University, the Sutton Lecture at the University of Oklahoma, and the Inaugural Plenary Lecture of the International Max Planck Research School for Organismal Biology at the University of Konstanz. Ray is here with us today to tell us all about his journey through life and science. Raymond Huey will retire on 15 September, after 37 years on the faculty of Zoology and now Biology. Ray studies the physiological ecology of ectotherms (lizards and fruit flies), an area made increasingly relevant by climate change. He helped pioneer the field of evolutionary physiology, and also pioneered studies of that influence success and death rates of Himalayan mountaineers. He has published over 170 articles. He served as Acting Chair of Zoology and as Chair of Biology. 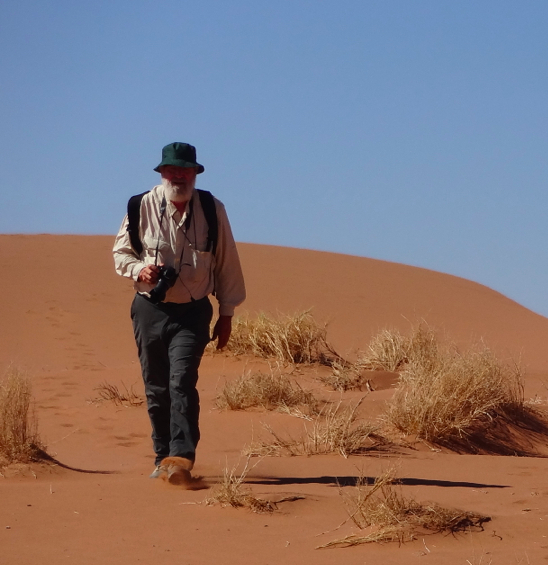 Ray fully expects to continue doing research after retirement, and his present projects include assessing the impact of climate warming on lizards in Puerto Rico and in the Kalahari Desert, and on desert tortoises in North America. He is also hiking and backpacking in the Cascades as often as possible.